A Saturday Night Live skit poking fun at chatty NPCs spurred developer Ubisoft to address talkative characters in The Division 2. A lot of truth is said in jest, and criticisms of modern society have long formed the backbone of truly side-splitting jokes. As an example, the crew at Saturday Night Live recently featured a skit poking fun at the unusually talkative NPCs found around Tom Clancy's The Division 2. Funny as the skit was, Ubisoft heard the criticism loud and clear, responding with an update to make the game's most conversational NPC characters a little less chatty. For those who missed it, the Saturday Night Live skit in question follows along as a video game enthusiast tries out fictional new title EarthWar 3 at his local game store. 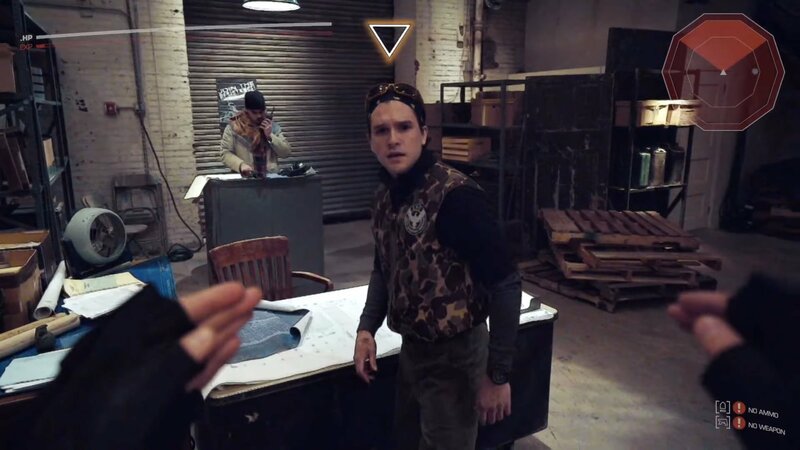 After putting on the VR headset and jumping into the title, the gamer (played by Pete Davidson) is immediately accosted by Damien (Kit Harington) and Ethan (Mikey Day), who just won't quit talking about their own personal dramas. Hilarious as the skit is, the team at Ubisoft certainly understand the player's frustration at being constantly held back from the action by NPC dialog. In a show of good faith and humor, the developers sent a notification via Twitter that Damien and Ethan will be more quiet following the game's Invasion update. It's great to see more video game coverage in modern media, even and perhaps especially when it's poking fun at frustrations all gamers feel. We certainly wouldn't have anticipated Ubisoft coming in with a solution so quickly, but it's nice that the developers are at least listening to fan feedback, even if it comes in the form of a comedy sketch. Still looking to make the most out of the haggard remains of Washington D.C.? Be sure to head over to Shacknews' Tom Clancy's The Division 2 game guide and walkthrough, which features loads of information about Gear, items, locations, and more. For the rest of your gaming news needs, keep it tuned right here to Shacknews. In last week’s patch, the lady by the crafting bench went completely silent, whereas before she would call out to you constantly.